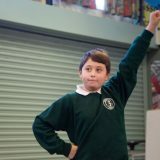 ALTRU IS A CREATIVE ORGANISATION SPECIALISING IN USING DRAMA TO BUILD CONFIDENCE, DEVELOP SKILLS AND DELIVER MESSAGES. 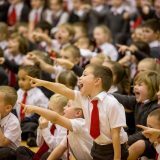 Much of our work as a company is in schools, and we love working with children and young people. However, we’ve always worked in other contexts too and always relish new challenges. Our work in the community is diverse and almost always bespoke. We can deliver one-off workshops, training, consultation and long term projects which make a real difference to people’s lives. The projects we’ve created, delivered and managed over the years include youth theatres, community drama groups, health focused projects and performances, and summer arts schemes. 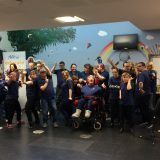 Altru has been established since 2005, and in the last 12 years we’ve worked on a broad range of projects and programmes – all of which have used drama and the arts as tool to develop skills, explore issues and support personal development. 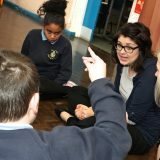 The company is led and managed by Kate Cotterell, a former teacher and experienced drama practitioner and director. Kate manages the Altru team, which is made up of experienced and talented staff who are passionate about youth and community arts. Since we set up in 2005 our mission has remained the same – to use drama and the arts to educate, inspire and motivate and to deliver projects which have a long term, tangible impact. As you’ll see from the website, our experience is vast and varied, we love a challenge and we working in partnership to deliver exciting, innovative experiences. Please do get in touch to talk about the ways that we can work together.